when you purchase ANY bottle of California Tan skin care and join Club Max. 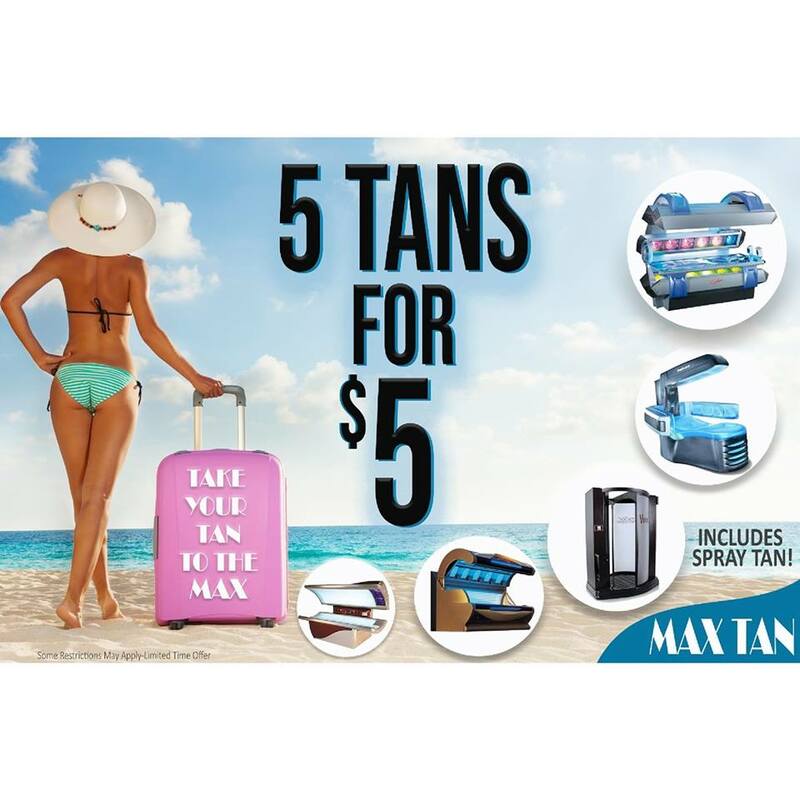 FOR A LIMITED TIME GET 5 TANS FOR $5! One session in every level, including a VersaSpa Spray tan. See a salon representative for details. Some restrictions may apply. Expires 14 days from purchase date. Tan free in a Medium/Medium Plus on your birthday! New clients tan free in a Medium/Medium Plus! Save $40—Tan free in a High Pressure! Offer valid with any $50+ pretax purchase. New clients only. Get 5 tans for $5!